ALWAYS IMPROVING – A TEACHER TIP FROM MRS. WALATKA! 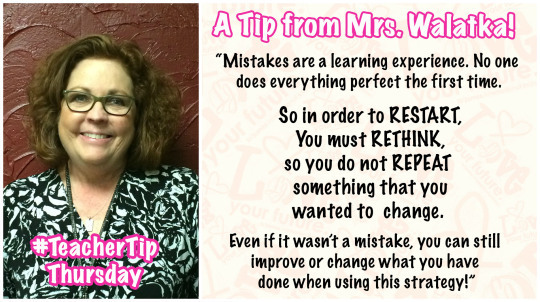 Today’s Teacher Tip comes from Mrs. Walatka…. Mrs. Sue Walatka has been an educator with La’ James International College at the East Moline campus for over 14 years!